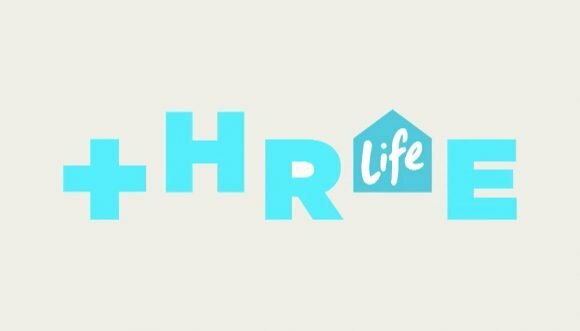 MediaWorks’ new lifestyle channel, ThreeLife, will be available in HD on the Freeview|HD platform. It goes to air on April 15 with a reality-driven schedule that includes Married At First Sight USA, Restaurant Revolution and Bondi Vet. Each night will have a different programming theme, such as food on Mondays, DIY on Thursdays and romance reality on Fridays. While many of this site’s readers will wonder why the market needs yet another 25-54 skewing channel riddled with lifestyle content, it will stand out from the competition — Choice, Bravo, Sky’s lifestyle fodder — at least for being in HD. But don’t expect it to be in HD on Sky. Although the satcaster (and Vodafone) will carry the channel, Sky’s broadband constraints make HD transmission unlikely. ThreeLife’s HD launch also doesn’t necessarily open the door for sister lifestyle channel Bravo to go HD, either. “This is a separate business decision with a different business,” a MediaWorks spokesperson says. In the meantime, ThreeLife’s HD transmission shouldn’t affect Three’s HD signal quality. To accommodate Duke in HD, TVNZ 1 and TVNZ 2’s HD services are being pumped out at “slightly lower” bit rates, although the broadcaster insists “the difference is not such that it will be noticeable for viewers”. “We currently only have one HD service,” MediaWorks says. “The new service will join the statmux pool. We also have 4Mb/s of capacity we do not use at the moment. Given Sky still doesn’t carry Maori TV or Duke in HD, offering ThreeLife in HD is a remote prospect. There is a limited amount of content available to us in HD and with dedicated satellite capacity we do have to make choices about what HD content we can acquire and offer. Numerous factors are taken into account, one of which, of course, is viewership trends. We know HD content is important to many of our customers. We continue to review our HD offering and we’re absolutely looking at how we can offer more content in HD. While our satellite capacity is limited, we are continuing to replace older Sky boxes with new boxes which are more efficient on bandwidth. This, paired with the continuous improvement of international delivery technologies, will allow us to be able to offer more content in HD in the future. As to a specific timeline for this, there isn’t one at this point. This is why Sky is a slowly dying company, because of quotes like “more content in HD in the future”, the future is 4K content. True, but even more damning, after all these years and the huge advances in HD/4K streaming and physical media, is Sky’s acknowledgement it doesn’t even have a timeline for upgrading the likes of Sky 5 and UK TV to HD. You might think that, Trevor, but Sky had to abandon The Zone (although you could argue it didn’t invest heavily enough in first-rate sci-fi fare) and reality has been Three’s ratings saviour. There remains a keen audience appetite for this fare. Look at how well Bravo’s done since its launch — it rates higher than Prime, which has a broader mix of entertainment, drama and factual — and the lifestyle-oriented Choice is also competitive among the smaller channels. Pretty much the same response as to what I got when I complained that Duke wasn’t HD, and then blamed the reason as TVNZ decision!! And why this channel is HD when Bravo isn’t? I clearly dont understand this. And we pay extra for an HD Ticket. Why do we pay for an HD Ticket when these Freeview channels are not broadcast in HD on Sky? They are misleading me and this country. Unless you’re a sports or movie subscriber, the HD Ticket is extremely poor value. In the age of 4K, only Sky could be so out-of-touch as to view HD as a premium service for rorting subscribers when it should be the norm. Netflix isn’t much better — you have to pay for the four-screen deal just to get 4K. While Amazon Prime has much less programming, at least it charges a flat rate regardless of streaming quality. Who’s going to force them? TVNZ can move with the times and go more up beat as we can outsmart MediaWorks. We can do way better, take a look at what TV3 has so we can do some thing more clever. Interesting the comment about the new channel shouldn’t affect TV3 quality. Over at TVNZ, Duke now is the best looking of the HD channels.